We can’t thank them enough for their dedication, enthusiasm and inspiration! 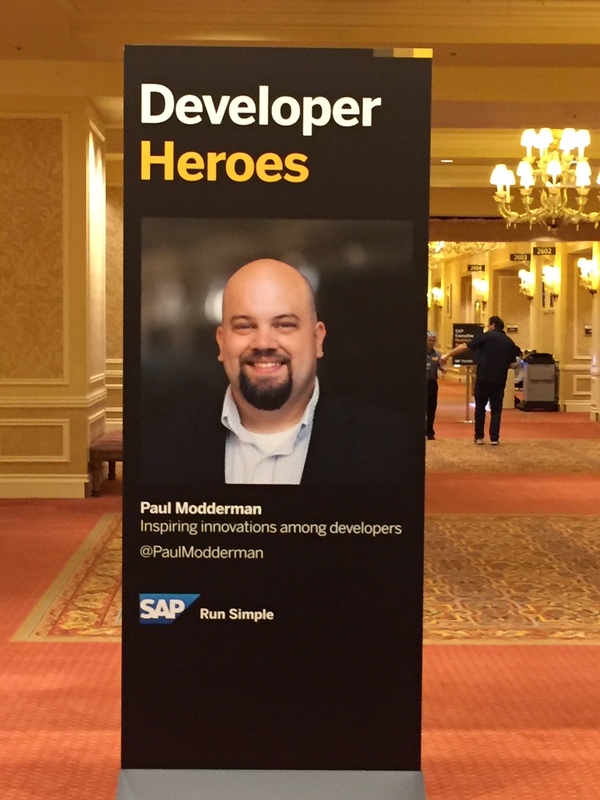 To celebrate our 20 2017 Developer Heroes we have created banner signs that are now visible around SAP TechEd Las Vegas, Bangalore & Barcelona. If you are not in Vegas this week, you can check a few of them out here below. 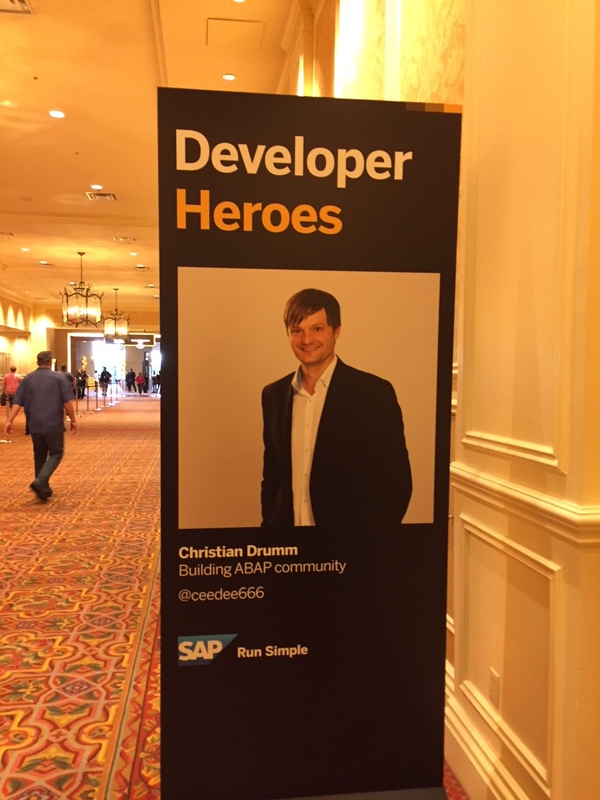 If you see our Developer Heroes in person at a SAP TechEd this year please take a selfie with them and tweet #SAPTechEd #DevHero. Also take the time to connect with them and find our more about them, as its good to connect and you never know what will happen… Last year two Developer Heroes met up and to cut a long story short, now work together! 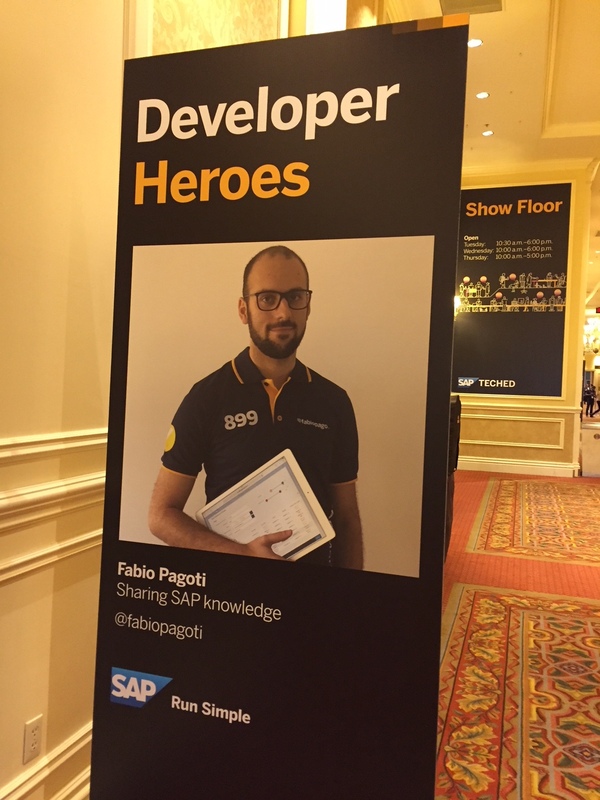 Have a great SAP TechEd everyone! Many congratulations to all of you! Many Congratulations to all the Developer Heroes. Well done Robert Russell ! 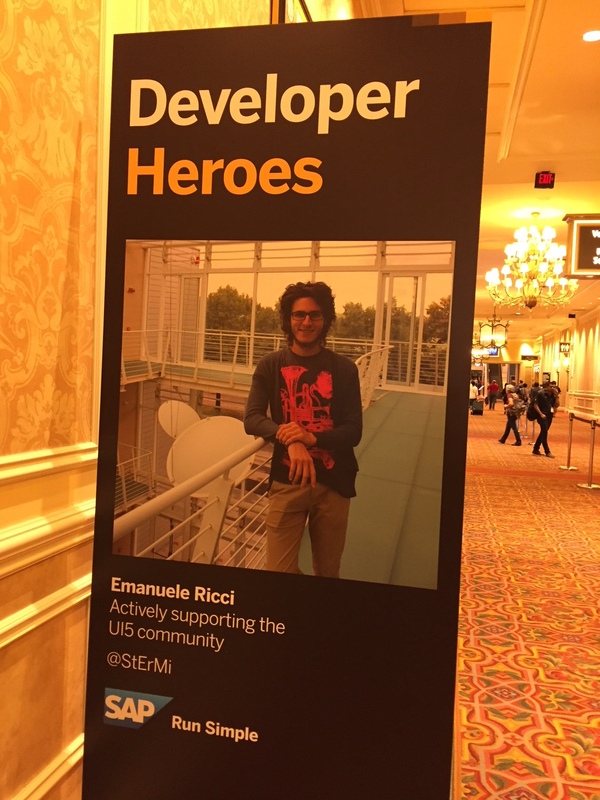 Congrats to all Developer Heroes! It was a pleasure to meet Paul J. Modderman in person and find out that we started in SAP world more or less in the same way and with the same background.